After the great success of the ThokkThokk Cap Sleeve t-shirt holding on for almost ten years now. We felt that we have to update the cut a little bit to make it even better, more sleek and more reduced to the essence. 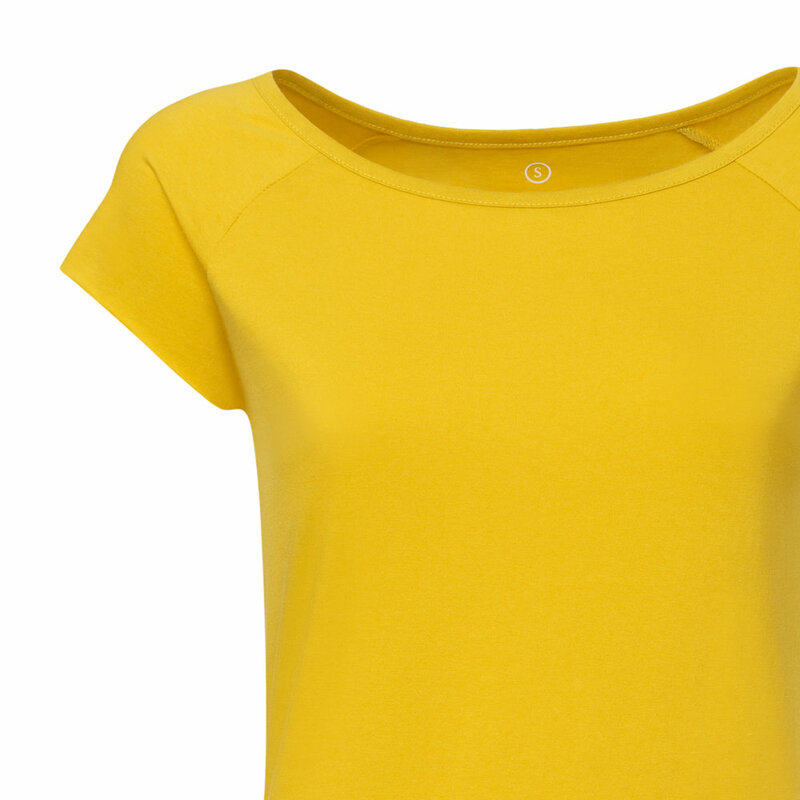 With this update the organic cotton and fairtrade t-shirt is getting a very modern t-shirt ready to embrace you with a comfortable, sleek and progressive look. What did we changed and why? We have changed the skirting all around the neck line, the neck labeling and the washing. The neck skirting now is simplified giving the shirt a nice, modern and sleek look. The new construction makes the shirt more flexible around the neckline leading to a very great comfort when wearing the t-shirt. The simplified construction also makes the t-shirt much easier to produce resulting in a better and more constant quality of the t-shirt. These improvements make only minimal optical changes and all the rest of the t-shirt stays exactly the same as it was before and as you know it. So don't worry it will still stay your favourite t-shirt and maybe now you will like it even more than before! The second improvement is that we have removed the woven neck label to make shirt more comfortable to wear. With this we also have more space to design our branding. Now you fill find our logo printed into the shirt accompanied by the size print. This looks very nice and is giving the shirt a high quality look mirroring the quality of the t-shirt properly. The ThokkThokk t-shirts are famous for it's very nice fabric quality. Now we have made the fabric even better by prewashing the fabric. This will give the shirt a very constant shape even after several washings and a very soft touch. The change will happen fluent that means that we will mix our stock of the new and old versions of the t-shirt. Until all old ones are sold out it can happen that you will receive some t-shirts in the new version and some t-shirts in the old version. What colours are affected first? How does the T-shirt look like now?